Glasses screwdriver keyring. Has 2 screwdriver heads and attachments to ﬁt the screws and nuts found on glasses. 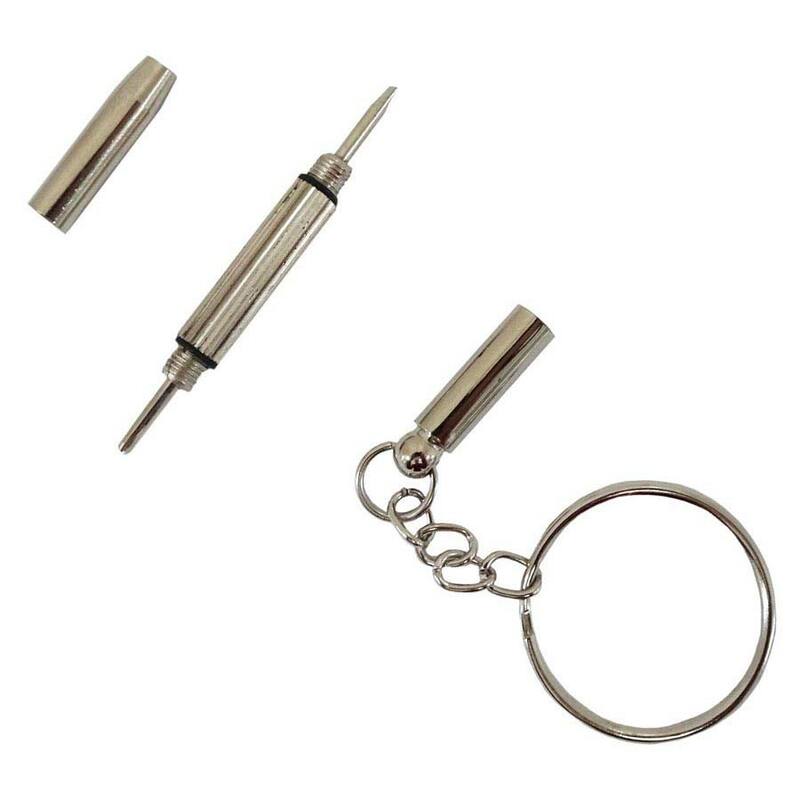 This useful glasses screwdriver keyring has 2 screwdriver heads and attachments to ﬁt the screws and nuts found on glasses. 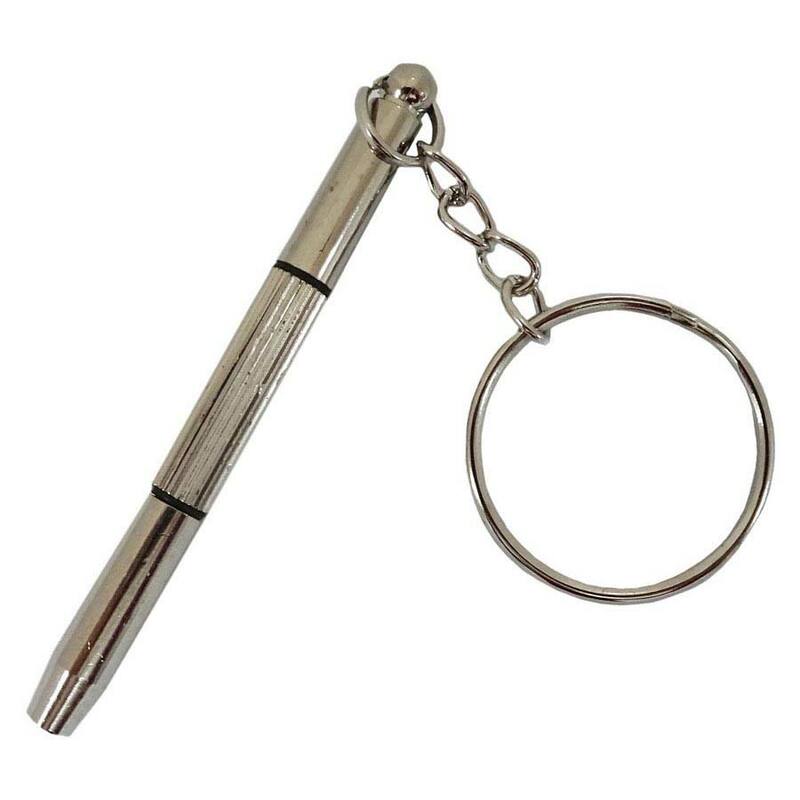 The screwdriver is 6cm in length and the complete keyring measures approximately 10cm in length.